In 2015, I began an archaeological project on Puerto Rico, focused on the analysis of pre-Taino/Taino petroglyphs at the previously undocumented site of La Mina. My team and I published an article on this research in Spring 2018 (Click here) and are currently writing a text for publication in Fall of 2018/Spring 2019. In 2014-2015, Dr. Sandra Johnson, Multicultural Advisor Eric Bridges, and I were awarded a grant by the SUNY Native American Western Consortium to create opportunities for WNY native peoples to engage with Empire State College events and courses. In 2018, I have partnered with scholars, as well as native tribes and nations, to create short oral history videos and OERs (open education resources), that highlight important aspects of native culture. This project was funded by an ESC Presidential grant for the Year of Indigenous Peoples of the Americas Cultural Initiative. These OERs include song and dance, native identity and values, women’s roles, native education, elder perspective, sovereignty, storytelling, family and others. These videos are scheduled to have a “film release” in Western New York at the Seneca Allegheny Museum on the Seneca Allegheny Territory in Fall 2019. Representatives from various tribes will participate in the construction of this course, including the Cheyenne, Seneca, Taino, Ojibewe and Elnu Abenaki Tribe of Vermont. Rogers, Case, Donald “Flip” White and Cliff Eaglefathers are course planners who will work with the tribal representatives and Amber Rinehart (an M.A. in Education, SUNY Empire graduate student and Erie Community College Film Studies professor) on the creation of these videos. Beginning in the Summer of 2012, I began a comprehensive Spain Book Research and OER Project which was twofold: 1) I conducted research at the Archive of the Indies in Seville, Spain in order to finish a book project I am currently working on about Aztec Women and 2) I began to develop technologically driven, interactive learning resources for my ESC students taking studies with me on Latin America. Both projects were funded, in part, by SUNY Empire State College. 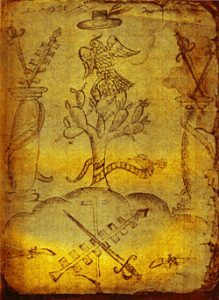 In regards to the Spanish Book Research component of the project, I am working on a book project tentatively titled The Transformation and Resilience of Aztec Female Roles, 1200-1700, which I hope to begin in 2014. 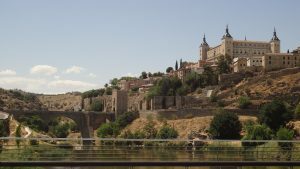 As the final component of this project, I collected, in the summer of 2012, colonial documents from the Archivo General de Indias (the Archive of the Indies) in Seville, Spain. Since I have already conducted funded trips to the University of Texas at Austin: Benson Latin American Library, the Universidad Nacional Autónoma de México (UNAM, National University of Mexico) in Mexico City, and to the Archivo General de la Nación (AGN, General Archive of the Nation) in Mexico City, I believe this research would contribute the final piece of historical information I need to interpret the roles of Aztec women in Nueva España (i.e. Mexico). CAPTION: In this photo, I was helping to map the possible site of Fort Shackleford, built in 1855 during the Third Seminole War. In the Southeastern United States, my research has focused on the Seminole peoples and their ancestral antecedants (e.g. Creeks, Calusa, Apalachee, Choctaw, Tequesta, and Timuca). While in graduate school, I had the opportunity to work closely with the Seminole Tribe of Florida and Dr. Harry Kersey, a leading expert on Seminole and Miccosukee history. I spent 5 months working as a Public History Intern at the Ah-Tah-Thi-Ki Museum, located on the Seminole Big Cypress Reservation. While there, I spent 2 months collecting ethnographic data on Seminole history and culture. Additionally, I volunteered on a number of archaeological digs and surveys conducted by the Tribe along the southeastern tip of Florida. 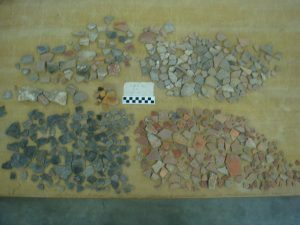 Based on my interest in Southeastern Indian history, I also analyzed a number of museum and archaeological field collections excavated from sites across Florida, Georgia, Alabama, and Louisana, including those held at Florida Atlantic University, the Graves Museum/Ft. Lauderdale Historical Society, the Ah-Tah-Thi-Ki Museum, and at the Seminole Tribe of Florida-Tribal Archaeology Lab. 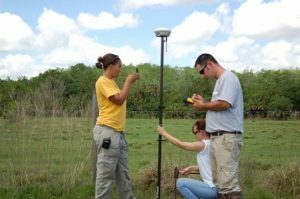 In 2007-2008, I took a break from academia and went to work for the Seminole Tribe of Florida-Tribal Historic Preservation Office (STOF-THPO), a federal agency overseen by the Seminoles, where I directed over 150 archaeological projects conducted on Seminole reservations and fee lands. While working at the STOF-THPO, I also reviewed archaeological projects for archaeological compliance issues and federal regulatory standards (e.g. NHPA-Section 106, ARPA, NEPA, and NAGPRA). One of my most prized experiences while working for the Tribe was the opportunity I had to participate peripherally in Tribal politics as a representative of the STOF-THPO at the United South and Eastern Tribes, Inc. meetings with the U.S. federal government in Washington, D.C. and Louisiana. 2015 Research Update: I have a book chapter, under contract with ABC:CLIO, in the volume titled 50 Events That Shaped American Indian History: An Encyclopedia of the American Mosaic about the Seminole Wars. More to come shortly. I have also worked in other sites across the Yucatán peninsula and Greater Mesoamerica, conducting both historical and archaeological research. I was part of a four person team that surveyed the central Yucatán state and documented previously unreported Maya sites and structures in 2005. Additionally, in 2006, I oversaw the mapping of Maya structures along a 2km transect at the Classic period site of Chunchucmil; this transect survey was part of the Pakbeh Regional Economy Program, a 10-year archaeological project directed by Dr. Bruce Dahlin (1996-2006). 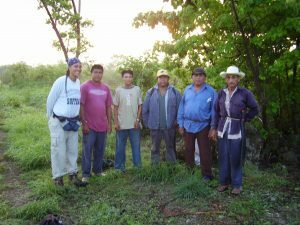 CAPTION: In this photo, I was working with local Maya elders and youth conducting a Phase I project concentrating on the mapping of Classic period Maya structures in the site of Chunchucmil (Photo taken in 2006, Chunchucmil, Yucatan, Mexico). CAPTION: In this photo, I was invited to attend a local elementary school graduation in the modern Maya community of Chunchucmil. 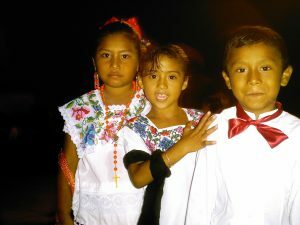 Statistically, many Maya people do not have the opportunity to complete formal education. As such, graduations at all levels are viewed as very important events within the Maya community. (Photo taken in 2006, Chunchucmil, Yucatan, Mexico). I have also conducted extensive historical research on both the Aztecs and Maya. My interest in both cultures have taken me to a number of highly respected institutions to conduct research, including funded trips to the University of Texas-Austin-Benson Latin American Library, the University of Florida-Florida Museum of Natural History, the Universidad Nacional Autónoma de México (UNAM, National University of Mexico) in Mexico City, the Archivo General de la Nación (AGN, General Archive of the Nation) in Mexico City, and to the Instituto Nacional de Antropología e Historia (INAH, National Institute of Anthropology and History) Regional Archive in Telchaquillo/Mayapan, Yucatán.